National Park Service biologist Helen Fitting. The tranquilized panther has been examined and outfitted with a new radio collar. After a few hours, the panther will return to the hammocks nearby. One of the world’s largest wetlands, the Florida Everglades, is threatened by development. It provides South Florida’s water supply, and it’s also a refuge for numerous species of plants and animals. 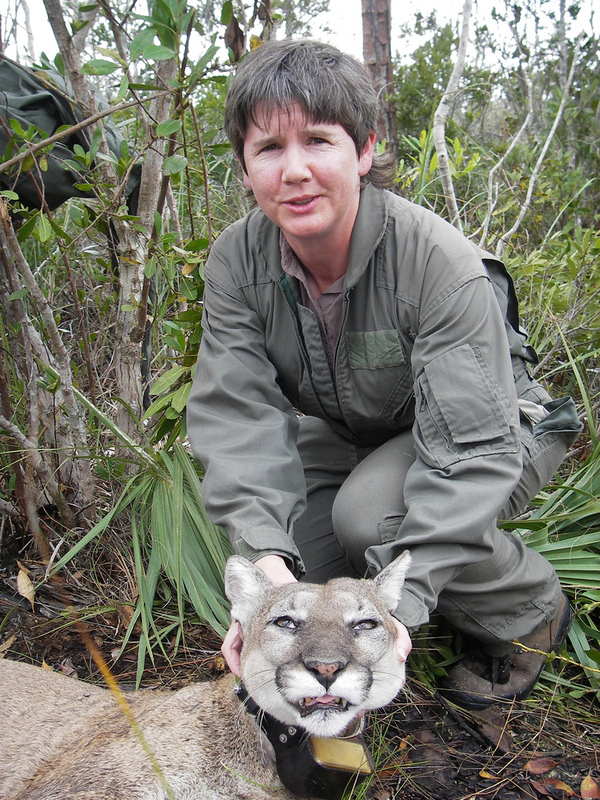 As part of an effort to restore the everglades, biologists have introduced mountain lions from Texas to a threatened population of Florida panthers, the apex predator in the Everglades terrestrial ecosystem. Biologists say the panthers’ health is a barometer of overall environmental health. Scientists say the news so far is encouraging. This entry was posted in Photography, Radio, WUNC North Carolina Public Radio and tagged conservation, Duke University, Everglades, florida, NPR, panthers, pimm, water conservation. Bookmark the permalink.